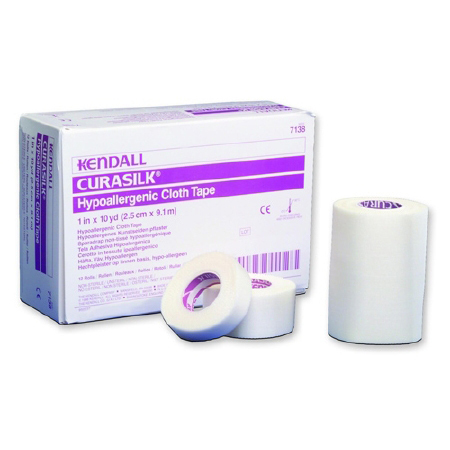 Covidien Kendall Curaslik hypoallergenic cloth tape is ideal for taping catheters, IV tubing, and holds dressings securely in place where extra strength is needed. Hypoallergenic, Constructed with rayon acetate, Pinked edges, Gentle to the Skin, Eliminates unraveling and tears easily by hand, lengthwise and across. 1" x 10 yds, Latex Free.